मुंबई : दादरला शिवसेना भवनाच्या चौकात ‘जिप्सी कॉर्नर’ नावाचं हॉटेल आहे, या हॉटेलात तुम्हाला अस्सल महाराष्ट्रीयन पदार्थांची मेजवानी चाखण्यास मिळते. फास्टफूड देखील येथे मिळते. मराठी पदार्थांची सतत रेलचेल येथे असते, अगदी पिठलं भाकर, ते शेव टोमॅटो भाजीपर्यंतचे सर्व पदार्थ तुम्हाला या हॉटेलात खायला मिळणार आहेत. एकंदरीत या हॉटेलात वातावरणंही तसं चांगलंच आहे, हॉटेलसमोरही बसण्यास भरपूर जागा त्या मानाने आहे. इथल्या पदार्थांची चवंही चांगली आहे. जिप्सी कॉर्नर हे दादरमधील खाण्याच्या प्रसिद्ध ठिकाणांपैकी एक म्हटलं जातं, अनेक मराठी सेलिब्रिटीजचं येथे येणं जाणंही असतं. मेतकूट, गावरान झुणका, पिठलं भाकरी, शेव टोमॅटोची भाजी, दही भात, ज्वारीची भाकरी, साबुदाणा खिचडी, मिसळ पाव, फालुदा, कोशिंबीर वडी, मसाला काकडी, भरलेली वांगी, मसाले भात, मसाला काकडी, भेंडी भाकरी, मटरवडा, मँगो मिल्कशेक, थालीपिठ, दहीपुरी, चीझ नॅचोज, चीझ गार्लिक ब्रेड, गाजर हलवा, साबुदाणा वडा. मुंबई, परळ | नॉनव्हेज खाणाऱ्यांसाठी आत्मशांती या नॉनव्हेज हॉटेलला जेवायला जाणं एक पर्वणी असते. इथल्या हॉटेलमधील चिकन मसाला अनेकांची आवडती डीश आहे. या बरोबरचं अंड्यासह मसाला असलेला बैदाही लोकप्रिय आहे. या मसालेदार चिकन-मटण सोबत मिळणारी रोटीही इथे छानपैकी पूर्ण शेकलेली असल्याने फेमस झाली आहे. पक्के तिखट नॉनव्हेज खाणाऱ्यांसाठी एक पर्वणीचं असते. तुम्हाला मासे खायचे असतील तर माशांवरही ताव मारता येतो. मात्र इथल्या चिकन आणि मटणाची मजा काही वेगळीच आहे. यासोबत इथली कडक सोलकढी प्यायला विसरू नका. तिखट आणि मसालेदार चिकन आणि मटण खाणाऱ्यांनी या हॉटेलला जरूर एकदा तरी भेट द्यावी. Pratap Lunch Home is the ultimate destination for food lovers keen to sample some of the world’s finest seafood cuisines. Pratap Lunch Home was founded by Mr. K.C.Amin in the year 1961.
dining experience. 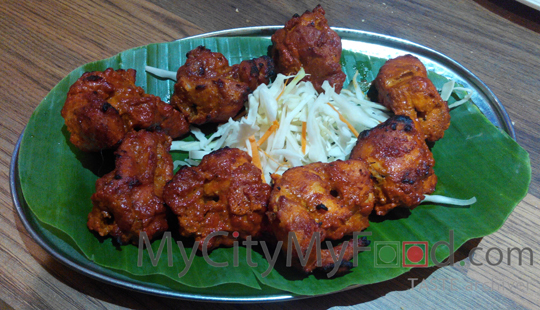 Pratap Lunch Home is widely acknowledged as one of the Best Seafood Restaurants in Mumbai. Our renowned restaurant is pioneering Multi Cuisine dining, with a sumptuous range of South Indian, North Indian, Mangalorean, Mughlai and Chinese dishes served up freshly every day. This mulch-cuisine restaurant blends the choicest culinary delights with the finest ambiance. You will discover that this is an ideal place to enjoy great food with friends and family. At Pratap Lunch Home we create a gourmet dining experience. We strive to make your dining fun and exciting. Our cuisine is influenced by the flavors and styles of many cultures so diners can enjoy savoring different mouth watering dishes. One of the great things about Pratap Lunch Home is that the menu is constantly evolving based upon the seasonality of produce and the team’s fascination with different cuisines. If you’re a regular visitor, you know that there are a few standards that we tend to rotate through the menu, but for the most part, you will be delighted to see all kinds of new dishes each time you visit the restaurant. Lying in the heart of buzzing Janmabhoomi Marg, Fort, Pratap Lunch Home boasts of relaxed setting, crisp modern design, edgy lighting, and friendly, experienced staff and the tasty food that will surely make your taste buds dance leaving you craving for more. Our refined cuisine offers characteristic Mangalorean delicacies along with various other delicacies which cannot be found anywhere else in the world. Pratap Lunch Home has specialized dishes which include Haryali Crab Meat, Tandoori Crab, Crab Kalamiri Tandoori, Gassi Crab, Fish Tawa Fry, King Prawns Gassi, Pomfret Butter Pepper and Prawns Chilly Roast. Pratap Lunch Home’s upscale yet unpretentious atmosphere provides the canvas for an unparalleled dining experience. We offer a selection of unique dishes inspired by a variety of cultures and styles. We enjoy incorporating the finest ingredients in our refined cuisine, and sharing that enjoyment with our guests. Till date we have maintained our standards of fine dining and will continue to do so for many years to come. Our staff is extremely amicable and makes you feel at home. 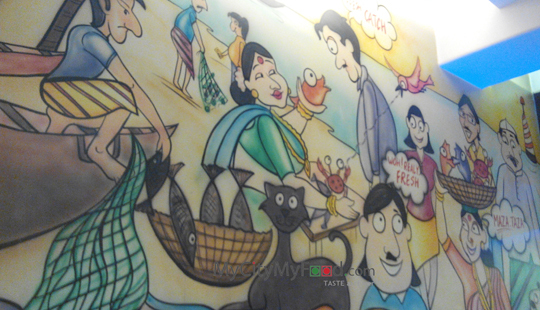 Since its inception, Pratap Lunch Home has been a favoured destination for Seafood lovers all over the world. Cutting edge fine dining and ambiance have always been our calling card, bolstered with exceptional service. Pratap Lunch Home was founded by Mr. K.C.Amin in the year 1961. Pratap Lunch Home is the only first original Mangalorean Seafood Restaurant of Mumbai to have completed 50 successful years of providing it’s patrons a fine dining experience. 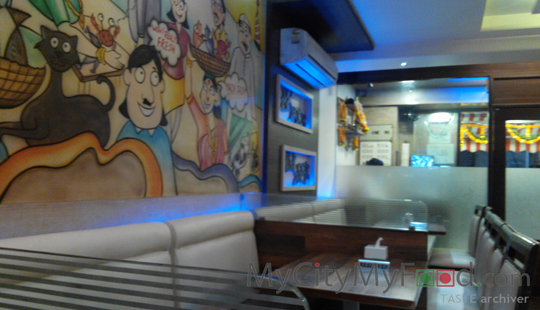 Pratap Lunch Home is widely acknowledged as one of the Best Seafood Restaurants in Mumbai.